В статье рассматривается проблема создания имплантируемых тканеинженерных конструкций печени как современный этап комплексных исследований по созданию биоискусственной печени. Позитивное решение многочисленных биологических и технологических проблем, стоящих на пути создания таких конструкций, включает разработку и использование матриксов с заданными свойствами, имитирующими свойства печеночного внеклеточного матрикса; применение технологий стереотипического заселения этих матриксов как паренхиматозными, так и непаренхиматозными клетками печени и совершенствование технологий изготовления и сборки тканеинженерных конструкций печени. к. б. н., старший научный сотрудник лабораториии клеточных технологий отдела биомедицинских технологий и тканевой инженерии ФГБУ «Федеральный научный центр трансплантологии и искусственных органов имени акад. В.И. Шумакова"
к. м. н., заведующий отделом экспериментальной трансплантологии и искусственных органов ФГБУ «Федеральный научный центр трансплантологии и искусственных органов имени акад. В.И. Шумакова"
д. м. н., проф., зав. лабораторией клеточных технологий отдела биомедицинских технологий и тканевой инженерии ФГБУ «Федеральный научный центр трансплантологии и искусственных органов имени акад. В.И. Шумакова"
1. Fox I.J., Langna s A.N., Fristoe L.W., Shaefer M.S., Vogel J.E., Antonson D.L. et al. Successful application of extracorporeal liver perfusion: a technology whose time has come. Am J Gastroenterol. 1993; 88 (11): 1876–1881. 2. Minuk G.Y. Hepatic regeneration: If it ain't broke, don't fix it. Can J Gastroenterol. 2003; 17 (7): 418–424. 3. Kay M.A., Fausto N. Liver regeneration: prospects for therapy based on new technologies. Mol Med Today. 1997; 3 (3): 108–115. 4. Igarashi Y., D'Hoore W., Goebbels R.M., Gianello P., Dufrane D. Beta-5 score to evaluate pig islet graft function in a primate pre-clinical model. Xenotransplantation. 2010; 17 (6): 449–459. 5. Booth C., Soker T., Baptista P., Ross C.L., Soker S., Farooq U. et al. Liver bioengineering: current status and future perspectives. World J Gastroenterol. 2012; 18 (47):6926–6934. 6. Pet ersen B.E., Bowen W.C., Patrene K.D., Mars W.M., Sullivan A.K., Murase N. et al. Bone marrow as a potential source of hepatic oval cells. Science. 1999; 284 (5417): 1168–1170. 7. Theise N.D., Nimmakayalu M., Gardner R., Illei P.B., Morgan G., Teperman L. et al. Liver from bone marrow in humans. Hepatology. 2000; 32 (1): 11–16. 8. Alison M.R., Poulsom R., Jeffery R., Dhillon A.P., Quaglia A., Jacob J. et al. Hepatocytes from non-hepatic adult stem cells. Nature. 2000; 406 (6793): 257. 9. Oh S. H., Witek R.P., Bae S.H., Zheng D., Jung Y., Piscaglia A.C. et al. Bone marrow-derived hepatic oval cells differentiate into hepatocytes in 2-acetylaminofl uorene/ partial hepatectomy-induced liver regenera tion. Gastroenterology. 2007; 132 (3): 1077–1087. 10. Terai S., Ishikawa T., Omori K., Aoyama K., Marumoto Y., Urata Y. et al. Improved liver function in patients with liver cirrhosis after autologou s bone marrow cell infusion therapy. Stem Cells. 2006; 24 (10): 2292–2298. 11. Mohamadnejad M., Alimoghaddam K., Mohyeddin-Bonab M., Bagheri M., Bashtar M., Ghanaati H. et al. Phase 1 trial of autologous bone marrow mesenchymal stem cell transplantation in patients with decompensated liver cirrhosis. Arch Iran Med. 2007; 10 (4): 459–466. 12. Piscagl ia A.C., Shupe T.D., Oh S.H., Gasbarrini A., Petersen B.E. Granulocyte-colony stimulating factor promotes liver repair and induces oval cell migration and proliferation in rats. Gastroenterology. 2007; 133 (2): 619–631. 13. Gaia S., Smedile A., Omede P., Olivero A., Sanavio F., Balzola F. et al. Feasibility and safety of G-CSF administration to induce bone marrow-derived cells mobilization in patients with end stage liver disease. J Hepatol. 2006; 45 (1): 13–19. 14. Di Campli C., Zocco M.A., Saulnier N., Grieco A., Rapaccini G., Addolorato G. et al. Safety and effi cacy profi le of G-CSF therapy in patients with acute on chronic liver failure. Dig Liver Dis. 2007; 39 (12): 1071–1076. 15. Spahr L., Lambert J.F., Rubbia-Brandt L., Chalandon Y., Frossard J.L., Giostra E. et al. Granulocyte-colony stimulating factor induces proliferation of hepatic progenitors in alcoholic steatohepa titis: a randomized trial. Hepatology. 2008; 48 (1): 221–229. 16. Asonuma K., Gilbert J.C., Stein J.E., Takeda T., Vacanti J.P. Quantitation of transplanted hepatic mass necessary to cure the Gunn rat model of hyperbilirubinemia. J Pediatr Surg. 1992; 27 (3): 298–301. 17. Dhawan A ., Puppi J., Hughes R.D., Mitry R.R. Human hepatocyte transplantation: current experience and future challenges. Nat Rev Gastroenterol Hepatol. 2010; 7 (5): 288–298. 18. Bates R.C., Edwards N.S., Yates J.D. Spheroids and cell survival. Crit Rev Oncol Hematol. 2000; 36 (2–3): 61–74. 19. Zahir N., Weaver V.M. Death in the third dimension: apoptosis regulation and tissue architecture. Curr pin Genet Dev. 2004; 14 (1): 71–80. 20. Grossmann J. Molecular mechanisms of «detachmentinduced apoptosis – Anoikis». Apoptosis. 2002; 7 (3): 247–260. 21. 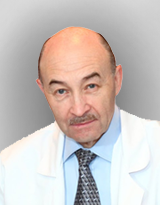 Chistiakov D.A. Liver regenerative medicine: advances and challenges. Cells Tissues Organs. 2012; 196 (4):291–312. 22. Lu T., Li Y., Chen T. Techniques for fabrication and construction of three-dimensional scaffolds for tissue engineering. Int J Nanomedicine. 2013; 8: 337–350. 23. Li Y.S., Harn H.J., Hsieh D.K., Wen T.C., Subeq Y.M., Sun L.Y. et al. Cells and materials for live r tissue engineering. Cell Transplant. 2013; 22 (4): 685–700. 24. Davis M.W., Vacanti J.P. Toward development of an implantabletissue engineered liver. Biomaterials. 1996; 17 (3): 365–372. 25. Balladur P., Crema E., Honiger J., Calmus Y., Baudrimont M., Delelo R. et al. Transplantation of allogeneic hepatocytes without immunosuppression: long-term survival. Surgery. 1995; 117 (2): 189–194. 26. Dixit V., Darvasi R., Arthur M., Brezina M., Lewin K., Gitnick G. Restoration of liver function in Gunn rats without immunosuppression using transplanted microencapsul a ted hepatocytes. Hepatology. 1990; 12 (6):1342–1349. 27. Wong H., Chang T.M. Bioartifi cial liver: implanted artificial cells microencapsulated living hepatocytes increases survival of liver failure rats. Int J Artif Organs. 1986; 9 (5): 335–336. 28. Demetriou A.A., Whiting J.F., Feldman D., Levenson S.M., Chowdhury N.R., Moscioni A.D. et al. Replacement of liver function in rats by transplantation of microcarrier-attached hepatocytes. Science. 1 986; 233 (4769): 1190–1192. 29. Bosman D.K., de Haan J.G., Smit J., Jorning G.G., Maas M.A., Chamuleau R.A. Metabolic activity of microcarrier attached liver cells after intraperitoneal transplantation during severe liver insuffi ciency in the rat. J Hepatol. 1989 ; 9 (1): 49–58. 30. Kazemnejad S., Allameh A., Soleimani M., Gharehbaghian A., Mohammadi Y., Amirizadeh N. et al. Biochemical and molecular characterization of hepatocyte-like cells derived from human bone marrow mesenchymal stem cells on a novel three-dimensional biocompatible nanofibrous scaffold. J Gastroenterol Hepatol. 20 09; 24 (2):278–287. 31. Piryaei A., Valojerdi M.R., Shahsavani M., Baharvand H. Differentiation of bone marrow-derived mesenchymal stem cells into hepatocyte-like cells on nanofi bers and their transplantation into a carbon tetrachloride-induced liver fibrosis model. Stem Cell Rev. 2011; 7 (1): 103–118. 32. Vasanthan K.S., Subramanian A., Krishnan U.M., Sethuraman S. Role of biomaterials, therapeutic molecules and cells for hep atic tissue engineering. Biotechnol Adv. 2012; 30 (3): 742–752. 33. Wu C., Pan J., Bao Z., Yu Y. Fabrication and characterization of chitosan microcarrier for hepatocyte culture. J Mater Sci Mater Med. 2007; 18 (11): 2211–2214. 34. Murua A., Portero A., Orive G., Hernandez R.M., de Castro M., Pedraz J.L. Cell microencapsulation technology: towards clinical application. J Control Release. 2008; 132 (2): 76–83. 35. Uyama S., Kaufmann P.M., Takeda T., Vacanti J.P. Delivery of whole liver-equivalent hepatocyte mass using polymer devices and hepatotrophic stimulation. Transplantation. 1993; 55 (4): 932–935. 36. Takeda T., Murphy S., Uyama S., Organ G.M., Schloo B.L., Vacanti J.P. Hepatocyte transplantation in Swine using prevascularized polyvinyl alcohol sponges. Tissue Eng. 1995; 1 (3): 253–262. 37. Kneser U., Kaufmann P.M., Fiegel H.C., Pollok J.M., Kluth D., Herbst H. et al. Long-term differentiated function of heterotopically transplanted hepatocytes on threedimensional polymer matrices. J Biomed Mater Res. 1999; 47 (4): 494–503. 38. Kedem A., Perets A., Gamlieli-Bonshtein I., Dvir-Ginzberg M., Mizrahi S., Cohen S. Vascular endothelial growth factor-releasing scaffolds enhance vascularization and engraftment of hepatocytes transplanted on liver lobes . Tissue Eng. 2005; 11 (5–6): 715–722. 39. Hou Y.T., Ijima H., Takei T., Kawakami K. Growth factor/ heparin-immobilized collagen gel system enhances viability of transplanted hepatocytes and induces angiogenesis. J Biosci Bioeng. 2011; 112 (3): 265–272. 40. Navarro-Alvarez N., Soto-G utierrez A., Chen Y., Caballero-Corbalan J., Hassan W., Kobayashi S. et al. Intramuscular transplantation of engineered hepatic tissue constructs corrects acute and chronic liver failure in mice. J Hepatol. 2010; 52 (2): 211–219 . 41. Katsuda T., Teratani T., Ochiya T., Sakai Y. Transplantation of a fetal liver cell-loaded hyaluronic acid sponge onto the mesentery recovers a Wilson's disease model rat. J Biochem. 2010; 148 (3): 281–288. 42. Zhou P., Lessa N., Estrada D .C., Severson E.B., Lingala S., Zern M.A. et al. Decellularized liver matrix as a carrier for the transplantation of human fetal and primary hepatocytes in mice. Liver Transpl. 2011; 17 (4 ): 418–427. 43. Levenberg S., Huang N.F., Lavik E., Rogers A.B., Itskovitz Eldor J., Langer R. Differentiation of human embryonic stem cells on three-dimensional polymer scaffolds. Proc Natl Acad Sci USA. 2003; 100 (22): 12741–12746. 44. Soto-Gutierrez A., Zhang L., Medberry C., Fukumitsu K., Faulk D., Jiang H. et al. A whole-organ regenerative medicine approach for liver replacement. Tissue Eng Part C Methods. 2011; 17 (6): 677–686. 45. Schanz J., Pusch J., Hansmann J ., Walles H. Vas cularised human tissue models: a new approach for the refinement of biomedical research. J Biotechnol. 2010; 148 (1): 56–63. 46. Textbook of Hepatology / Rodes J., Benhamou J., Blei A., Rei chen J., M.R. : Blackwell Publishing Ltd, 2007. 47. Liu Tsang V., Chen A.A., Cho L.M ., Jadin K.D., Sah R.L., DeLong S. et al. Fabrication of 3D hepatic tissues by additive photopatterning of cellular hydrogels. FASEB J. 2007; 21 (3): 790–801. 48. Hsu W.M., Carraro A., Kulig K.M., Miller M.L., Kaazempur-Mofrad M., Weinberg E. et al. Liver-assist device with a microfluidics-based vascular bed in an animal model. Ann Surg. 2010; 252 (2): 351–357. 49. Borenstein J.T., Weinberg E.J., Orrick B.K., Sundback C., Kaazempur-Mofrad M.R., Vacanti J.P. Microfabrication of three-dimensional engineered scaffolds. Tissue Eng. 2007; 13 (8): 1837–1844. 50. Kulig K.M., Vacanti J.P. Hepatic tissue engineering. Transpl Immunol. 2004; 12 (3–4): 303–310. 51. Mooney D.J., Vandenburgh H. Cell delivery mechanisms for tissue repair. Cell Stem Cell. 2008; 2 (3): 205–213. 52. Sudo R. Multiscale tissue engineering for liver reconstruction. Organogenesis. 2014; 10 (2). 53. Goral V.N., Hsieh Y.C., Petzold O.N., Clark J.S., Yuen P.K., Faris R.A. Perfusion-based microfluidic device for three-dimensional dynamic primary human hepatocyte cell culture in the absence of biological or synthetic matrices or coa gulants. Lab Chip. 2010; 10 (24):3380–3386. 54. Chung S., Sudo R., Mack P.J., Wan C.R., Vickerman V., Kamm R.D. Cell migration into scaffolds under co-culture conditions in a microfl uidic platform. Lab Chip. 2009; 9 (2): 269–275. 55. Zervantonakis I.K., Kothapalli C.R., Chung S., Sudo R., Kamm R.D. Microfl uidic devices for studying heterotypic cell-cell interactions and tissue specimen cultures under controlled microenvironments. Biomicrofl uidics. 2011; 5 (1): 13406. 56. Yamada M., Utoh R., Ohashi K., Tatsumi K., Yamato M., Okano T. et al. Controlled formation of heterotypic hepatic micro-organoids in anisotropic hydrogel microfi bers for long-term preservation of liver-specifi c functions. Biomaterials. 2012; 3 3 (33): 8304–8315. 57. Borenstein J.T., Vunjak-Novakovic G. Engineering tissue with BioMEMS. IEEE Pulse. 2011; 2 (6): 28–34. 58. Sudo R., Mitaka T., Ikeda M., Tanishita K. Reconstruction of 3D stacked-up structures by rat small hepatocytes on microporous membranes. FASEB J. 2005; 19 (12): 1695–1697. 59. Okano T. Current Progress of Cell Sheet Tissue Engineering and Future Perspective. Tissue Eng Part A. 2014. 60. Kasuya J., Sudo R., Mitaka T., Ikeda M., Tanishita K. Spatio-temporal control of hepatic stellate cell-endothelial cell interactions for reconstruction of liver sinusoids in vitro. Tissue Eng Part A. 2012; 18 (9–10): 1045–1056. 61. Torok E., Lutgehetmann M., Bierwolf J., Me lbeck S., Dullmann J., Nashan B. et al. Primary human hepatocytes on biodegradable poly(l-lactic acid) matrices, a promising model for improving transplantation effi ciency with tissue enginee ring. Liver Transpl. 2011; 17 (2): 104–114. 62. Mironov V., Visconti R.P., Kasyanov V., Forgacs G., Drake C.J., Markwald R.R. Organ printing, tissue spheroids as building blocks. Biomaterials. 2009; 30 (12): 2164–2174. 63. Woodrow K., Wood M., Saucier-Sawyer J. Biodegradable Meshes Printed with Extracellular Matrix. TISSUE ENGINEERING. 2009; 15 (5). 64. Yagi H., F ukumitsu K., Fukuda K., Kitago M., Shinoda M., Obara H. et al. Human-scale whole-organ bioengineering for liver transplantation, a regenerative medicine approach. Cell Transplant. 2013; 22 (2): 231–242. 65. Uygun B.E., Soto-Gutierrez A., Yagi H., Izamis M.L., Guzzardi M.A., Shulman C. et al. Organ reengineering through development of a transplantable recellularized liver graft using decellularized liver matrix. Nat Med. 2010; 16 (7): 814–820. 66. Baptista P.M., Siddiqui M.M., Lozier G., Rodriguez S.R., Atala A., Soker S. The use of whole organ decellularization for the generation of a vascularized liver organoid. Hepatology. 2011; 53 (2): 604–617. 67. Shupe T., Williams M., Brown A., Willenberg B., Petersen B.E. Method for the decellularization of intact rat liver. Organogenesis. 2010; 6 (2): 134–136. 68. Wang Y., Cui C.B., Yamauchi M., Miguez P., Roach M., Malavarca R. et al. Lineage restriction of human hepatic stem cells to mature fates is made effi cient by tissuespecifi c biomatrix scaffolds. Hepatology. 2011; 53 (1): 293–305. 69. Kim S.S., Utsunomiya H., Koski J.A., Wu B.M., Ci ma M.J., Sohn J. et al. Survival and function of hepatocytes on a novel three-dimensional synthetic biodegradable polymer scaffold with an intrinsic network of channe ls. Ann Surg. 1998; 228 (1): 8–13. 70. Hanada S., Kojima N., Sakai Y. Soluble factor-dependent in vitro growth and maturation of rat fetal liver cells in a three-dimensional culture system. Tissue Eng Part A. 2008; 14 (1): 149–160. 71. Jiang J., Kojima N., Guo L., Naruse K., Makuuchi M ., Miyajima A. et al. Effi cacy of engineered liver tissue based on poly-L-lactic acid scaffolds and fetal mouse liver cells cultured with oncostatin M, nicotinamide, and dimethyl sulfoxide. Ti ssue Eng. 2004; 10 (9–10): 1577–1586. 72. Matsumoto K., Mizumoto H., Nakazawa K., Ijima H., Funatsu K., Kajiwara T. Hepatic differentiation of mouse embryonic stem cells in a bioreactor using polyurethane/ spheroid culture. Transplant Proc. 2008; 40 (2): 614–616. 73. Yan Y., Wang X., Pan Y., Liu H., Cheng J., Xiong Z. et al. Fabrication of viable tissue-engineered constructs with 3D cell-assembly technique. Biomaterials. 2005; 26 (29): 5864–5871. 74. Zhang F., Xu R., Zhao M.J. QSG-7701 human hepatocytes form polarized acini in three-dimensional culture. J Cell Biochem. 2010; 110 (5): 1175–1186. 75. Kin asiewicz A., Gautier A., Lewinska D., Bukowski J., Legallais C., Werynski A. Culture of C3A cells in alginate beads for fl uidized bed bioartifi cial liver. Tr ansplant Proc. 2007; 39 (9): 2911–2913. 76. Lan S.F., Safi ejko-Mroczka B., Starly B. Long-term cultivation of HepG2 liver cells encapsulated in alginate hydrogels: a study of cell viability, morphology an d drug metabolism. Toxicol in vitro. 2010; 24 (4): 1314–1323. 77. Zhang S., Tong W., Zheng B., Susanto T.A., Xia L., Zhang C. et al. A robust high-throughput sandwich cell-based drug screening platform. Biomaterials. 20 11; 32 (4): 1229–1241. 78. Xiong A., Austin T.W., Lagasse E., Uchida N., Tamaki S., Bordier B.B. et al. Isolation of human fetal liver progenitors and their enhanced proliferation by three-dimensional coculture with endothelial cells. Tissue Eng Part A. 2008; 14 (6): 995–1006. 79. Lin P., Chan W.C., Badylak S.F., Bhatia S.N. Assessing porc ine liver-derived biomatrix for hepatic tissue engineering. Tissue Eng. 2004; 10 (7–8): 1046–1053.